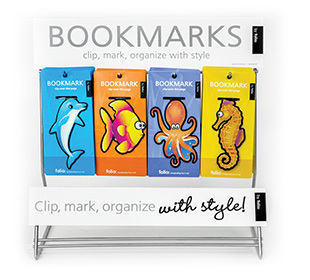 Carded clip-over-the-page bookmarks are proven sellers. 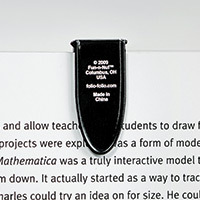 This bookmark simply clips over a few pages, staying in place to greet you upon your return. Impulse priced. 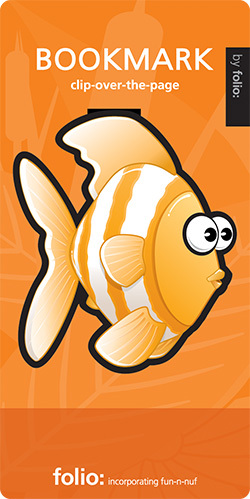 The line spans 22 different designs all featuring appealing and good-natured characters. Both kids and adults love them. 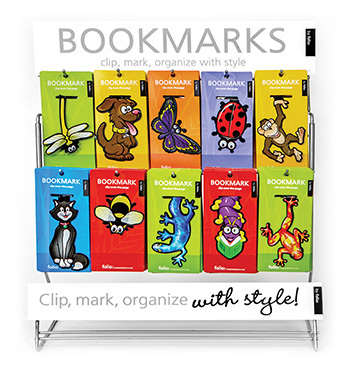 Bookmark with backer card is approximately 2.75"w x 6"h. Each carded bookmark design comes in packages of 6. 3 black wire display options are available. 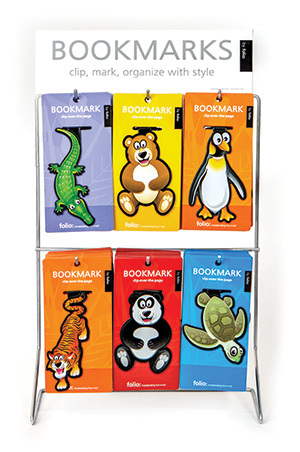 Each wire hook display holds up to 24 bookmarks, allowing you to choose up to 4 designs per hook.